Get Bitcoin on any device. 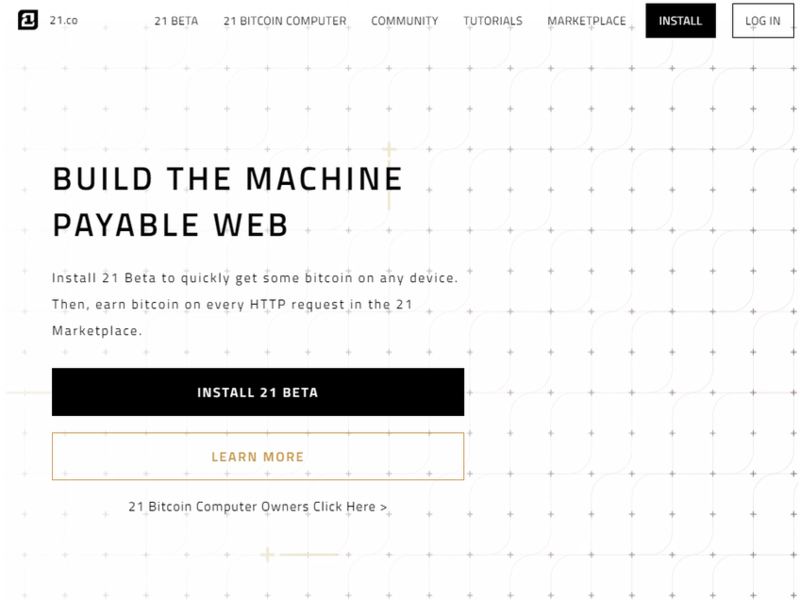 21 is free software, and it turns any computer into a Bitcoin Computer. After you install 21, you can get bitcoin on any device in almost any country without a bank account or credit card, add micropayments to any app, and start earning bitcoin on every HTTP request. To get started, sign up here and then read the free tutorial. Then join fellow 21 developers in our Slack community at slack.21.co, and start building the machine-payable web!